Charlton’s Hornfair Park BMX track: Fantastic or a flop? A few years back, plans for a BMX track in Hornfair Park were wildly controversial. On one side, neighbours had slightly wild visions of young people up to no good. On the other, Greenwich Council was playing fast and loose in its eagerness to get the thing built. 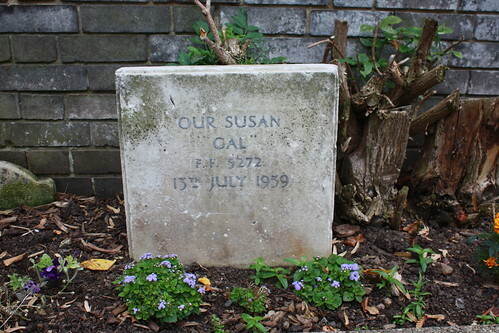 Anyhow, a Charlton Champion chum took her son there on Sunday… and found it deserted. We’ve had anecdotal reports that the BMX track isn’t being used as much as it could be – others simply don’t know it’s there. We do know there’s an established BMX club that uses it, but it’s hard to shake off the feeling that it’s becoming yet another poorly-promoted local facility. But what do you think? Did the BMX track live up (or down) to your expectations? Will the Easter holiday see a surge in kids on bikes heading for the track? 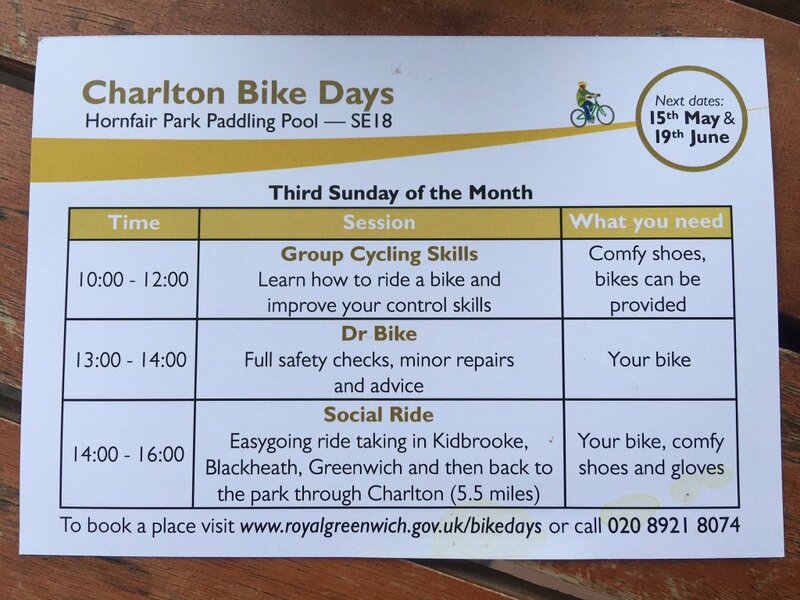 And with the skateboard park looking like becoming a reality in Charlton Park, what lessons can be learned from the BMX track? We’d like to know. 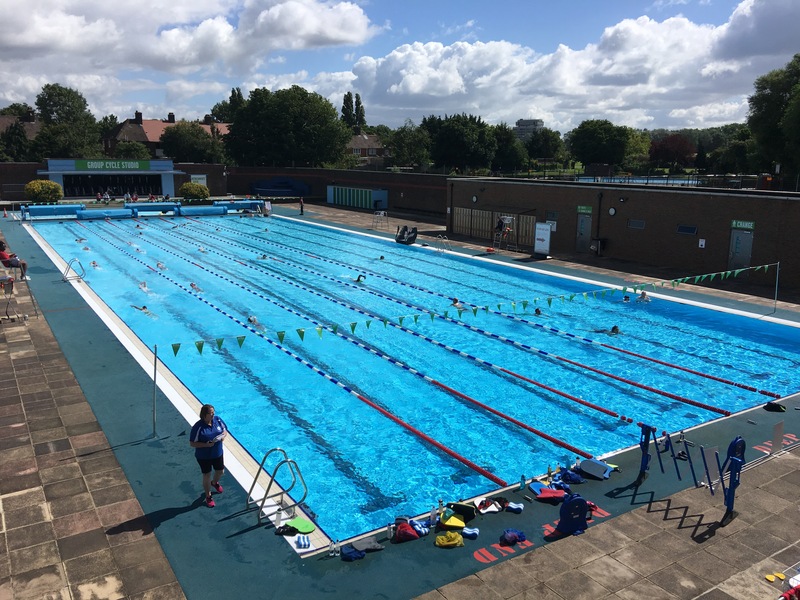 GLL has applied for a premises licence to allow ‘the Supply of Alcohol (on sales only), provision of live and recorded music (Indoors only) Monday to Sunday from 11:00 hours until 23:00 hours‘ at Charlton Lido, with the application to be heard on October 6th. An overview of the application can be found here, and details of objections raised are here. The deadline for representations was 16th September. But a 94-name petition has been submitted objecting to the application, along with 11 individual objections – pointing to some dissatisfaction amongst the lido’s neighbours over a number of issues, principally parking, noise, and the attitude of the lido management towards residents. Do you live in the streets around the lido? Let us know your thoughts in the comments below. Are you going to the Horn Fayre? Or the Horn Fair? Or both? 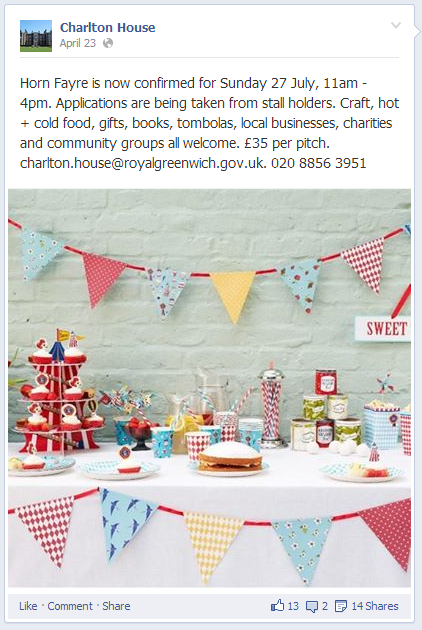 There’s not much confirmed online yet, but it looks like Charlton could be enjoying two Horn Fairs this year. @CharltonCSE7 We’ll look into this and get back in touch asap. Sorry for the confusion. 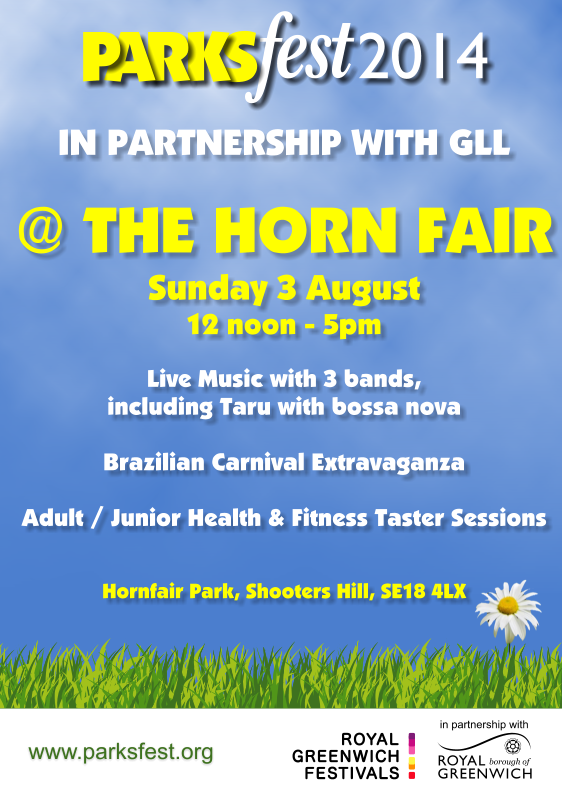 If both are going ahead, it seems a little strange to be running similar events in adjacent parks on consecutive weekends, but perhaps this finally resolves the issue of how you spell ‘Horn Fair’: a different spelling for each park…We look forward to finding out more as information becomes available (on which subject, the organisers could learn a lot from the – volunteer – team behind this coming weekend’s Plumstead’s Make Merry). If you’ve got more information about either event, please get in touch!